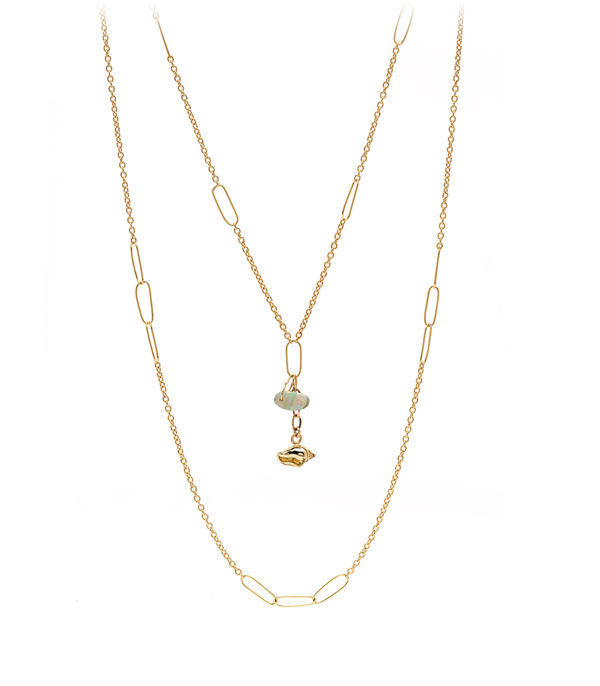 Layering was never so easy! 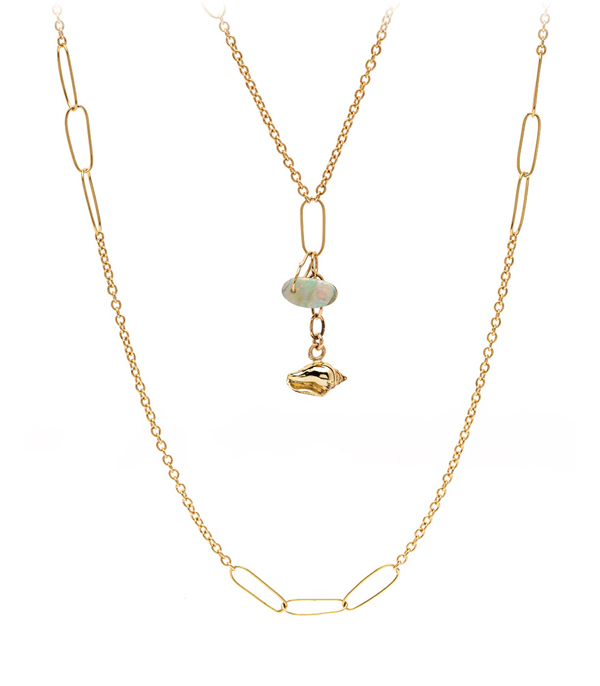 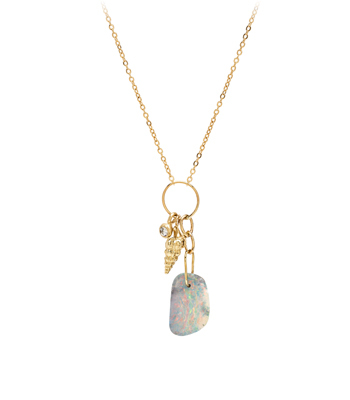 This one-of-a-kind necklace features a longer chain accented with our 18K handmade “paperclip” links, and a shorter layer of chain, highlighted with a dangling cast gold seashell and Australian Boulder Opal slice. 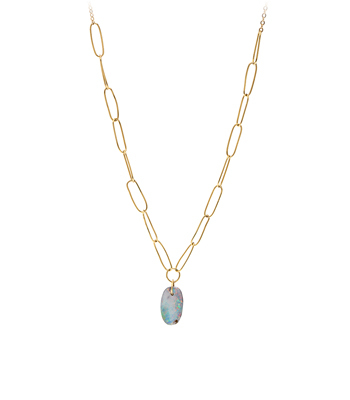 Perfect to throw on for an après-soleil engagement, this effortless chic necklace has the unique ability to add summer light, everywhere it goes!